Trinke Bier — aber sauf nicht. (Drink beer — but don’t swill. 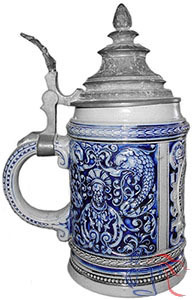 Same model number applied to a Bearded Man Jug with Jesters.